When will ICML launch the Haval H5 X240 in India? What would be the price? ICML has no plans for the launch of Haval H5 X240 in India. The car would have been priced around INR 10 lakh if it has been into the launch list. It comes with a 2.5 L diesel motor producing 107 बीएचपी और 300 टोक़ के एनएम. The gearbox is a 5-speed manual unit whereas the car comes with all wheel disk brakes for enhanced safety. 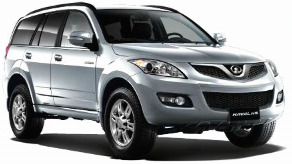 It comes with a loaded interior and could even have served as a better option than 5 seaters in its price segment.